Videx is committed to a continuous Research and Development programme that seeks new, innovative and alternative products to ensure that our customers are provided with the most advanced products that incorporate safe and user-friendly systems. Improving current product lines is also an important objective of the programme. Videx will always strive to provide you, our customer, with technical expertise and value added services wherever possible. Videx Mining Products received its first ISO accreditation in June 1998. With very strict quality control and well trained personnel, Videx can assure customers that product quality will exceed expectation in most cases. 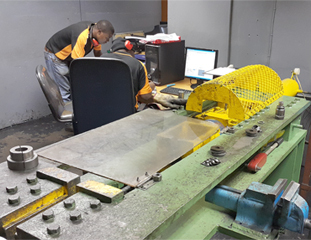 An onsite laboratory equipped with a calibrated pull-test machine enables proper raw material and finished product testing to ensure product conformance. 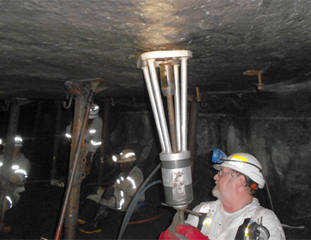 Highly skilled personnel are also available to conduct Underground Product Testing to ensure installed products conform to customer requirements.